For some, biology explains all there is to know about the mind. Yet many big questions remain: is the mind shaped by genes or the environment? If mental traits are the result of adaptations built up over thousands of years, as evolutionary psychologists claim, how can such claims be tested? If the mind is a machine, as biologists argue, how does it allow for something as complex as human consciousness? psychiatric classification and the maladapted mind. 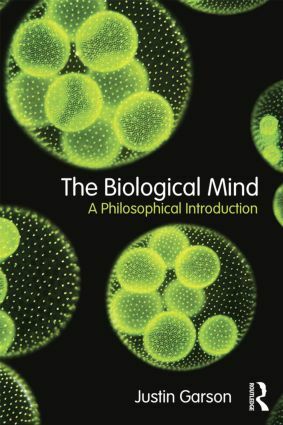 Extensive use of examples and case studies is made throughout the book, and additional features such as chapter summaries, annotated further reading and a glossary make this an indispensable introduction to those teaching philosophy of mind and philosophy of psychology. It will also be an excellent resource for those in related fields such as biology.